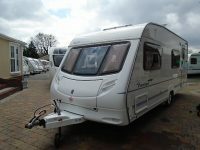 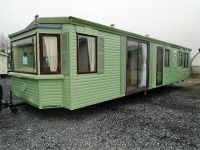 Elddis Avante 540,with awning and motor mover The ever popular ?Avante? 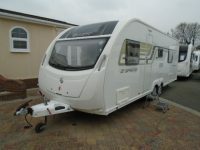 range by Elddis. 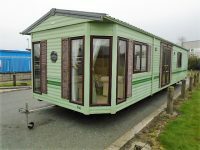 The 540 model incorporates the fixed bed with end washroom design which has proved so popular in recent years. 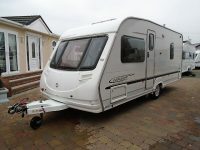 This one owner model is in terrific order and has obviously been well cared for. 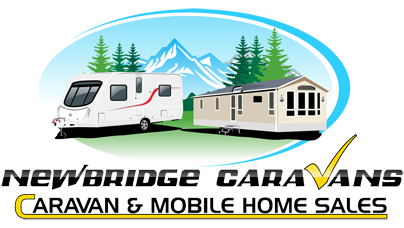 Equipment is plentiful, with stabiliser, alloys,built in microwave,full cooker oven grill/ large roof light/removble carpets/ alko chassis/ alko hitch/TV aerial, radio/Cd all being fitted a standard.